Hello, and welcome back to Frankfurt. Season two is under way, and it’s been a mixed start, with the bad news that we’ve been dumped out of the cup in the first round. 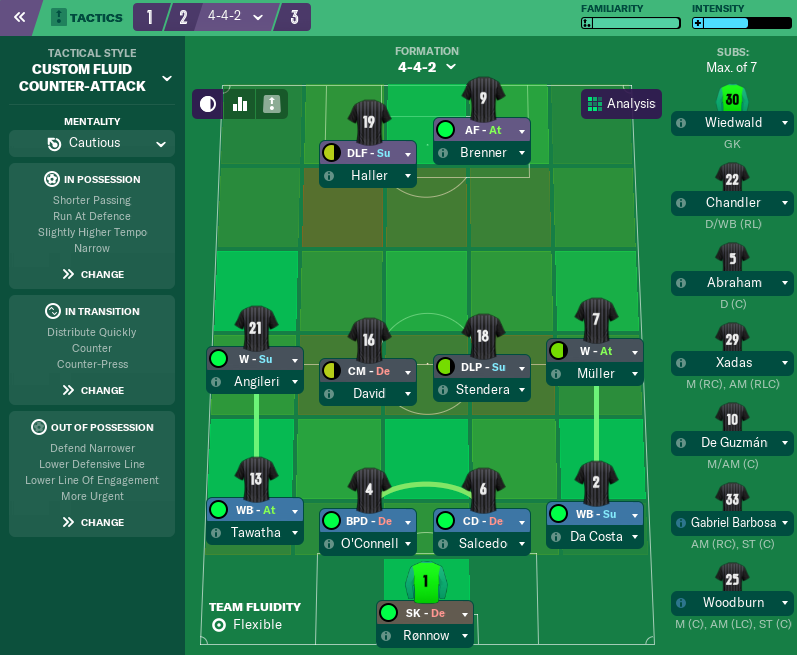 Today, I’ll run through the first few months of the season, deliver on my promise to talk tactics, and I’ll mention a few of our more promising youngsters and how we plan to develop them. I’m all caught up with the writing now (well nearly, I’m a few weeks ahead), so the blog will be returning to it’s regular weekly updates. There’s still work to be done to get us to the very top level, and I feel we should probably buy the stadium from the council at some point, but this is for the future. We’ve spent the last 18 months really boosting Fynn’s physical attributes. Whilst he was already fast, his strength and jumping reach particularly needed work, and have shown great improvement. 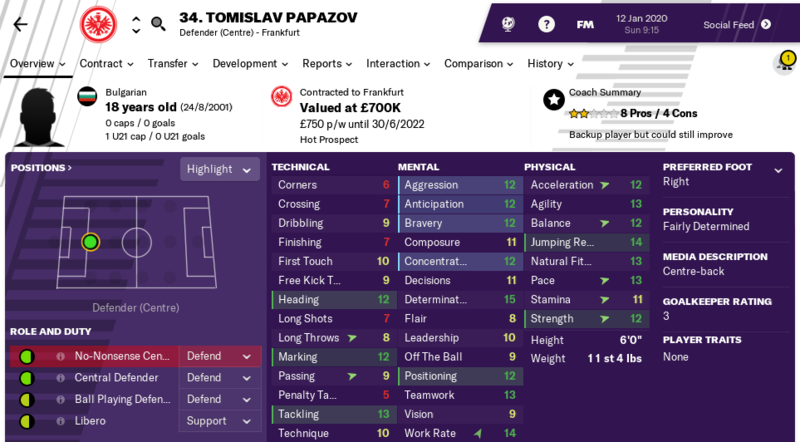 The next step will be to work on his mental attributes, which we’re trying to hone with mentoring this season, but I suspect he’ll go on loan next year to get some first team football after turning 18. 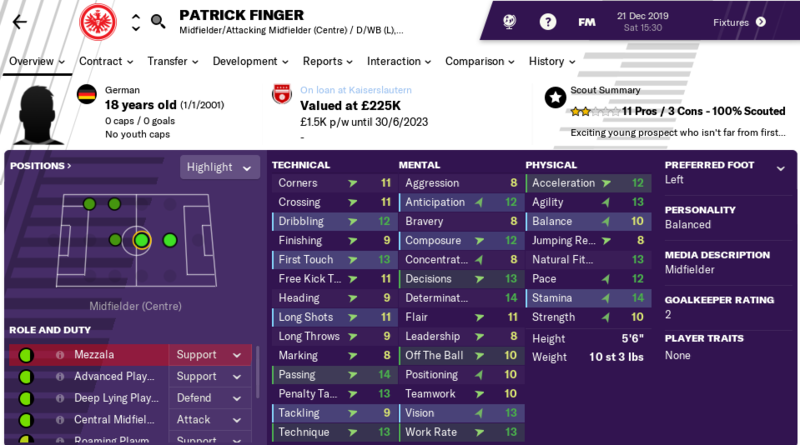 Signed for just £250k in the summer, it’s a little early to talk training progress. 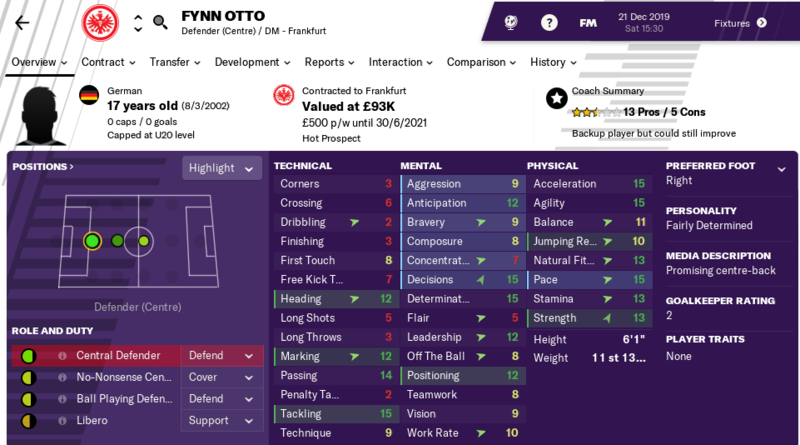 But between him and Otto, I feel like our future at centre back is looking pretty safe. There are many other good prospects we’re working on, but I don’t want to spam you with names and images. 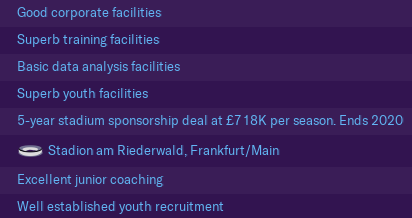 If anyone makes significant progress, I’ll talk about it, otherwise I’ll likely save “youth development” for the second post of each season, for the purposes of balance. 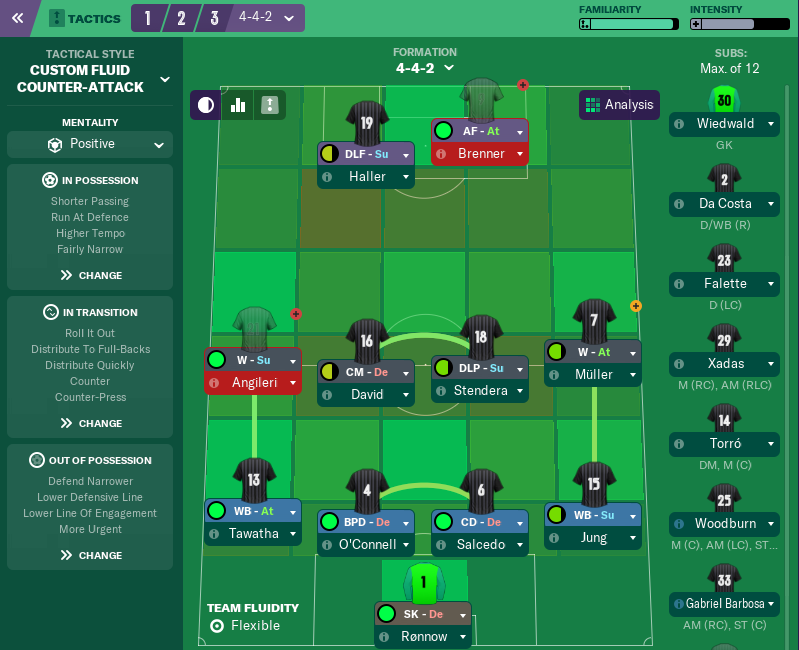 You were promised some tactics talk, but I’m going to leave some of it until later as I’ll be attempting a couple of tweaks. Also, I don’t think we have a striker particularly ready to lead the line alone. Maybe Brenner will become that in time, he’s still young. 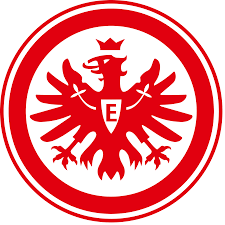 The Duisburg game aside, we haven’t shown much progress towards our desired “fluid counter-attack”. But it’s early doors. 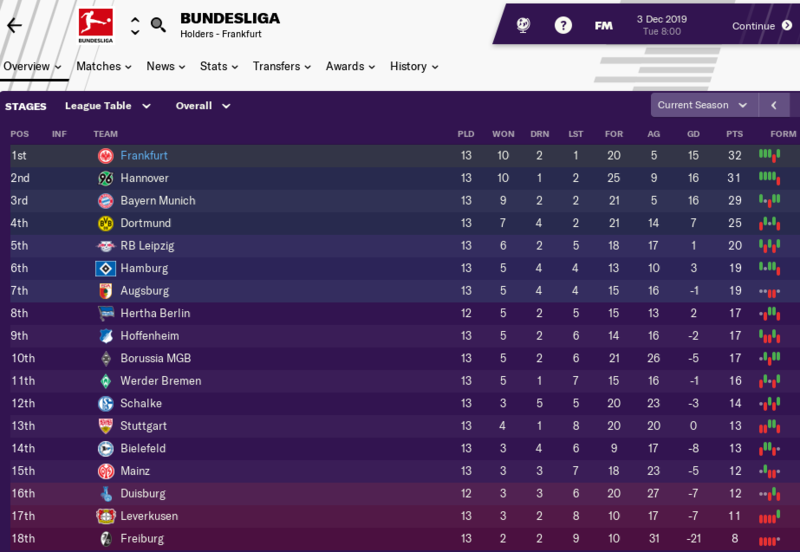 Conceding just once in six games, and starting our Champion’s League campaign with a well deserved victory makes for a wonderful September though. The back to back 0-0 draws were contrasting affairs. We wasted chance after chance against Bielefeld, including an incredible missed sitter from the increasingly irritating Ante Rebic. The Bayern game on the other hand was a tight encounter that they probably edged. Men against boys, hot knife through butter, the clichés could go on. We were 2-0 down after about ten minutes and it looked so terrible I switched to “very defensive” in order to keep them from running up a cricket score. We were very good the rest of the month though, particularly against Bilbao where we broke out some brilliant counters in a game that could be vital to our progress. We seem to have made some progress tactically, especially with the more intense pressing that we are using now. The results aren’t too bad, but we’re really struggling to score goals. Sebastien Haller and Gabriel Barbosa are having real trouble hitting the target from all angles at the moment. Bayern and Dortmund are still in the fight, although once again unimpressive. Hannover are the real surprise story at the top of the table after finishing down in 13th last season. It’s not a revolutionary, tear up the playbook kind of alteration. There are only two changes, the biggest of which is changing mentality from cautious to positive. I do want to bust out some beautiful, flowing counter attacks, but that doesn’t mean I want to sit back and then hit teams on the counter all the time. We’re scoring noticeably fewer goals than last season, and that’s not what I want. I’m not sure this positive mentality will mesh perfectly with our instructions, but I’ll be giving it a go. The other, minor alteration, is changing the goalkeeper distribution so as to roll the ball out to the full backs. We simply don’t have the physical presence amongst the front six to win enough long balls, so let’s knock that off. Next time, we’ll face some important games, battle the January transfer window and discover who we get in Europe. I’ve got a feeling that I might not quite have the tactics sorted just yet, but I’ll give them a fair crack over winter. Thanks for reading!